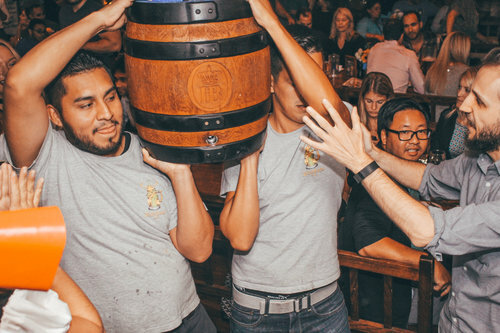 Join us for one of our traditional Oktoberfest keg tappings. Once the bier is flowing, everyone at the haus will get a free round of our famous Hofbräu bier! Whether you like jazz, polka, or alternative covers of your favorite songs; we're sure you'll love our haus bands. Mondays feature live burlesque performances and on Tuesday we hold our quirky trivia night hosted by The Polka Brothers. Who doesn't love free stuff? 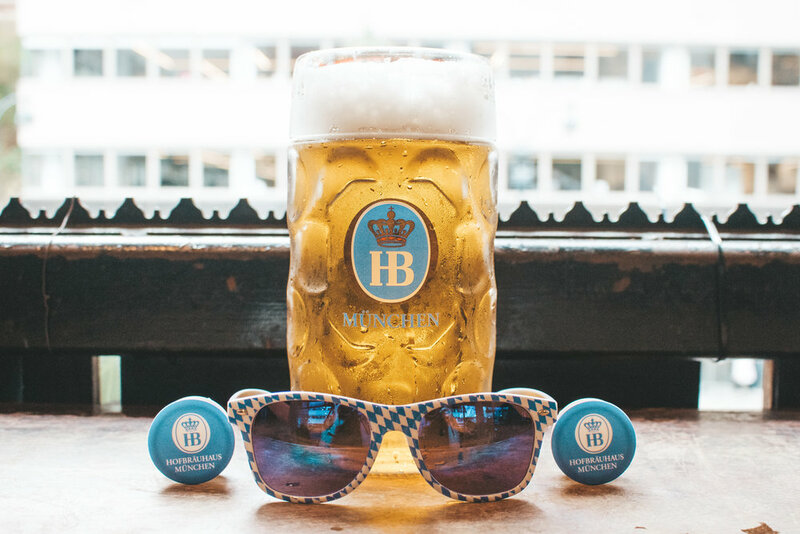 Check out our schedule of giveaway nights and score yourself a free pair of Hofbräu sunglasses, a Hofbräu hat, or other fun prizes! *While supplies last. How many wieners could you handle at once? Come find out during our National Bratwurst Eating Contest (10/20). Rather be drinking than eating? Show off that bier belly during our Best Bier Belly Competition(10/5) for a chance to win a hefty cash prize! Even if you don't sport a bier belly, it's a hilarious event you won't want to miss. Celebrate Oktoberfest with the whole family. Stop in for brunch on Sundays throughout Oktoberfest (9/16-10/21 from 1-3pm) and bring the little ones. Live accordion music and activities for the kids. Best of all - Children 10 & under eat FREE! At the count of three and the sound of the cow bell, throw back that shotski alongside three of your best buds. Check out the full line up of Oktoberfest events on our calendar under September & October!